Cybulski’s performance in Ashes and Diamonds is the engine that makes the whole movie a masterpiece. That’s not to discount Andrzej Wajda’s filmmaking, because if you’ve seen his war trilogy you know he’s one of cinema’s great, underappreciated masters, but Cybulski brings so much life to the character of Maciek that it heightens the drama. Is this guy a killer? Sure. Do you also understand his position between a rock and a hard place and want him to settle down with the comely barmaid? Absolutely 100%. The tender little love story tucked away in the middle of this movie gives the cool and detached Maciek some humanity and it makes his general doomed-ness that much more devastating. History tells us that there was no place for these “Cursed Soldiers” in Soviet puppet state Poland, and Maciek’s meeting his fate amidst the garbage and rubble of post-war Warsaw is as symbolic as it is heartbreaking. Stateside, it’s a struggle to catch Cybulski in anything other than Ashes and Diamonds or his bit part in Wajda’s debut A Generation. You can track down some of his other films through your local public library’s Interlibrary Loan program (Innocent Sorcerers, The Saragossa Manuscript, and Night Train are likely obtainable but your mileage may vary depending on your library) but it requires a bit of legwork. There’s something melancholy about such a talent existing as a relative unknown outside of his homeland. There’s also a certain sadness to the thought of all the great performances he never gave. That itself is a symptom to any actor’s premature death. The great ones will haunt you forever. 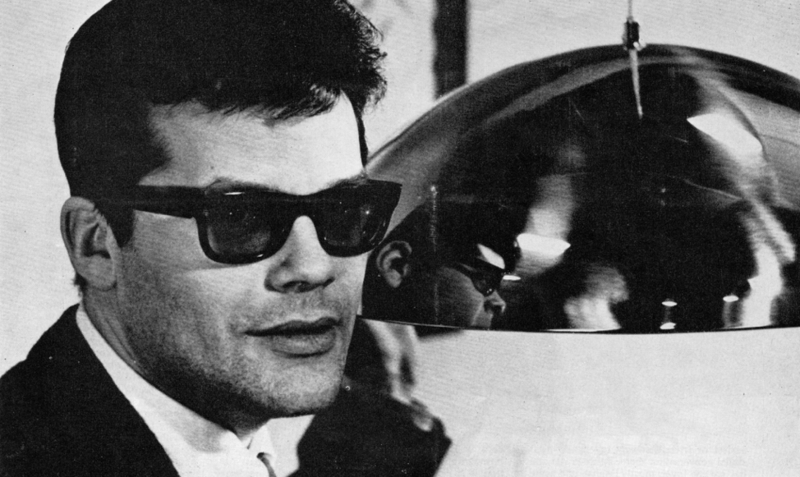 It’s not like Zbigniew Cybulski was some sort of cheap Eastern European James Dean knock-off. There’s just this charisma that leaps off the screen. An effortless sense of cool that is absolutely untouchable. You might see glimpses of that charisma in your Brad Pitts and your George Clooneys today, but there’s that old school cool that can never be replicated. The cool of Marlon Brando in A Streetcar Named Desire or Paul Newman in Cool Hand Luke. A cool with a little edge and a little danger to it. Granted, the double edged sword is that that perceived danger is often backed up by very real recklessness, but that doesn’t make it any less of a bummer when those stars burn out. But they don’t build statues in your likeness and name acting awards in your honor if you didn’t make an impact to the film community and culture, so it’s nice knowing that at least Cybulski is regarded as a Polish national hero.